plant in the German state of Thüringen. The plant will process ores from Sweden. 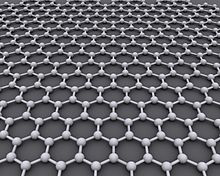 Graphene is a so-called allotrope of carbon which has the form of a two-dimension hexagonal lattice. It was invented by two researchers at the University of Manchester in the UK, who jointly won the Nobel prize for Physics. The material has already been used in a number of electronics applications and is thought to have a large variety of uses, which are currently being investigated around the world.